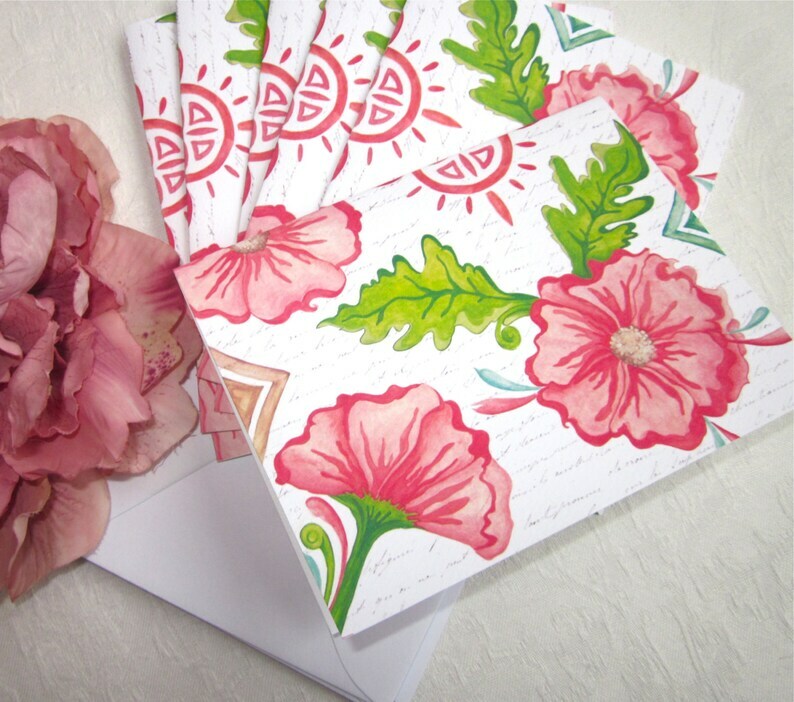 This lovely notecard set carries a miniature version of my original illustration, "Coral Floral". The original was created using traditional gouache and pencil, combined with a digital, french script, background. The notecards are printed on rich, textured stock and left blank inside for your personal message. Packaged in a crystal-clear box, each set contains six notecards with coordinating envelopes. Package is embellished with a matching organdy ribbon. A nice gift for those of us who still love to send and receive old-fashioned snail mail! To view more of my original illustrated products, visit my shop, https://www.etsy.com/shop/msddesign?ref=si_shop.